Felix Robertson (January 11, 1781-July 10, 1865) served as mayor of Nashville from 1818-1819 as well as from 1827-1829. He was the sixth son of Nashville founder General James Robertson and Charlotte (Reeves) Robertson and is held to be the first white male child born in the settlement of Nashborough. He earned his M.D. degree from the University of Pennsylvania in 1806 and served as a charter member of the Medical Society of Tennessee. Just as Dr. Robertson served as Nashville's mayor during two separate periods, he also was elected president of the Medical Society of Tennessee from 1834 through 1840 and yet again in 1853 for another two-year term. Dr. Robertson served in these and many other capacities in his life of public service and was both noted and revered for his work in children's health issues. During his time at the University of Pennsylvania, he studied under Dr. Benjamin Rush. Following his studies, he established his practice in Nashville and maintained it for the next forty years. When the Tennessee legislature incorporated the Medical Society of Tennessee in 1830, Dr. Robertson was listed as a charter member and soon afterward served as president over a total of four two-year terms (1834-1840; 1853-1855). In his lengthy medical career, Dr. Robertson is credited with introducing quinine in the treatment of fevers in the Nashville area in 1829-1830. He also served as a physician to the state penitentiary. Dr. Robertson was granted permanent membership in the American Medical Association and was received with a standing ovation by a gathered crowd during the association's 1857 meeting in Nashville. He was well known for his contributions to civic improvements, and he served as the President of the Bank of Tennessee. Additionally, he was a benefactor to the library and medical program of the University of Nashville. Dr. Robertson was also a close friend of Andrew Jackson, serving as one of his doctors. Following Jackson's presidential defeat to John Quincy Adams in the controversial election of 1824, Dr. Robertson worked with a committee of fellow Nashvillians and friends of the General to defend Jackson during the period leading to the 1828 presidential election, which Jackson won. In his tastes and habits of life, Dr. Robertson was domestic, simple, and frugal. He was fond of society, but not crowds, preferring he company of a few and select friends, in quiet conversation. Of this latter he was very fond and took great pleasure in contributing his share and directing it toward worthy and instructive subjects. His temper was calm and serious, but cheerful and equable. He looked upon the world and its vicissitudes philosophically and endeavored to meet the responsibilities of life manfully. He did not profess to be governed by any other rule of conduct than the conscientious convictions of duty to his fellow men, and the universal esteem in which he was held testifies how nearly he observed it. Research completed by Robert Cox, a Public Service Management graduate of Cumberland University. Thomas Crutcher served as Nashville's mayor in 1819 and is also known primarily for his twenty-five years of public service as Treasurer of the State of Tennessee. It is greatly to the honor of Nashville that her citizens were the first in the United States appreciating the separateness and the importance of female education enough to demand an institution chartered for the special purpose, and it is to the credit of the above-named gentlemen [Thomas Crutcher included] that they used their money and their influence at that early day thus to dignify female education. Thomas Crutcher died in Nashville March 8, 1844 and his funeral was held at the Methodist Church, and was attended by many of the leading citizens of the city as well as approximately 200 young ladies from the Academy. 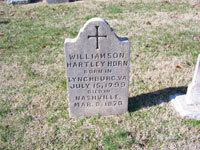 At the time of his death he had been a resident of Nashville for almost sixty years. His obituary described him as "Under a somewhat rough exterior and rather blunt manners was concealed a heart which beat responsive to the claims of charity and benevolence [...]" and that "Few men have departed this life more universally respected than Thomas Crutcher." John Patton Erwin 1821-1822; 1834-1835. John Patton Erwin was born in Wilkes County, North Carolina, on January 8, 1795. He was the son of Andrew Erwin, a land speculator, and Jane Patton, who later settled in Bedford County, Tennessee. In 1815 John Patton Erwin married Frances (Fannie) Lanier Williams of Panther Creek, North Carolina. The Erwins were the parents of 10 children. Mrs. Erwin was from a prominent political family. Her brothers held important public service positions ... John was a U.S. Senator from Tennessee, Lewis was a U.S. Representative from North Carolina, and Thomas was Justice of the Tennessee Supreme Court. 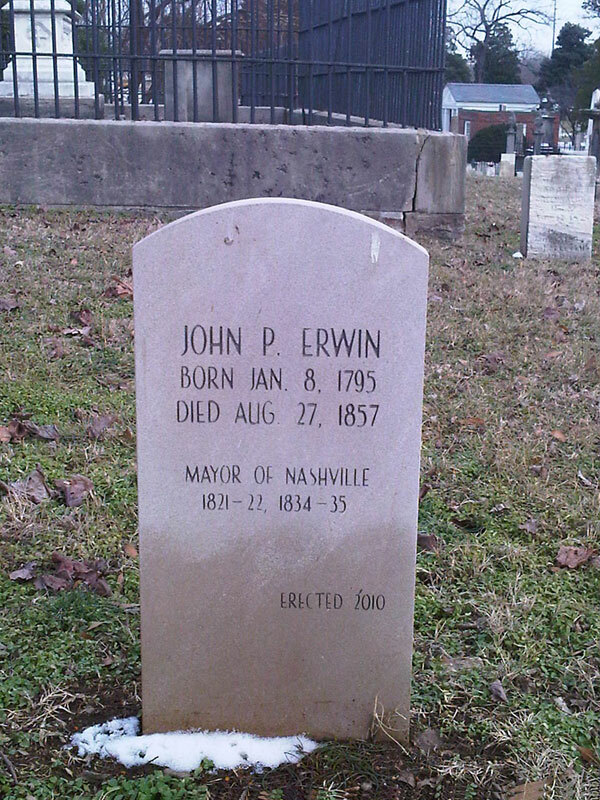 In 1817, Erwin was elected to the Nashville Board of Alderman and was admitted to the bar in 1820. In 1821, he became Mayor in the first of his two nonconsecutive terms. Additional civic service included being the Principal Clerk of the Tennessee House of Representatives as well as editor of the Nashville Whig. In 1826, he was appointed United States Postmaster at Nashville by President John Quincy Adams. This necessitated his resignation as an employee of the General Assembly as well as from the newspaper. After serving as Postmaster, Erwin became Cashier at the Yeatman, Woods Bank. Beginning in 1830, he served as a Justice of the Peace for two terms, and in 1834 he was elected to a second term as Mayor. In 1831, Mayor Erwin purchased the “Buena Vista” mansion as a family home, and he lived in this house for the remainder of his life. In 1860, his widow sold the home to the Trustees of the Dominican Order of the Congregation of Saint Cecelia, and it is now the site of their Motherhouse. In his last years, Mayor Erwin suffered from paralysis. 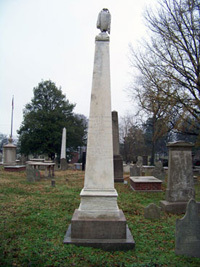 He died on August 27, 1857 and is buried in the historic Nashville City Cemetery. 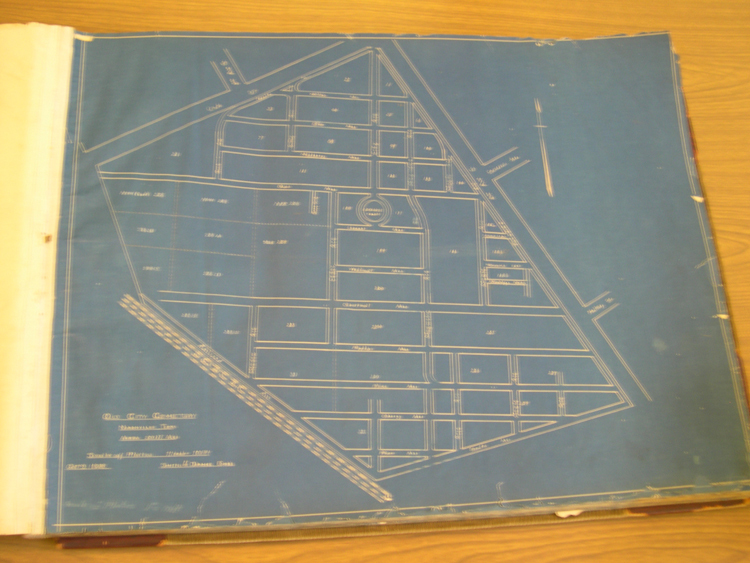 Research compiled by Carter G. Baker, a member of the Nashville City Cemetery Association Board, whose wife is a collateral descendant of Mayor Erwin's wife. In 1774, Robert Brownlee Currey was born in North Carolina to Ezekiel and Nancy Currey. 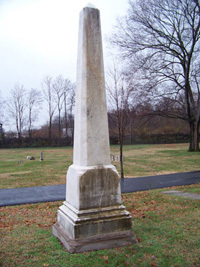 Currey's grandfather immigrated to the United States from Belfast, Ireland in 1729, and the Currey family was among the early settlers of Nashville. Descendants of the family still live in the Nashville area today. Currey married Jane Grey Owen on June 2, 1811, and the couple had eight children: Richard O. Currey; Algernon B. Currey (who died at seven months old in 1815); Robert B. Currey, Jr. (1817–1860); William Hume Currey (1818–1831); Algernon S. Currey; Washington J. Currey; John Currey; and, Elizabeth Jane Currey. The Currey family were members of the Presbyterian Church. The family lived in a newer area of the city called Edgehill (between modern day 8th & 12th Avenues, South). The family lived atop one of three hills that overlooked the city, Rose Hill, in a large stately home. After the home burned and was rebuilt, the hill was renamed Currey Hill – until the Civil War. After Currey's death in 1848, the house and property were given to the youngest living child, Jane and her husband, Dr. Wiliam P. Jones. During the Civil War, the property was taken and a Union fort built (Fort Morton). After the war, the hill was renamed Meridian Hill. The property included a quarry, and stone from the quarry has been traced to the construction of Fort Negley and the Nashville Reservoir, which was built in 1889, and is still in use today. Currey, began his public service career as United States Postmaster for Nashville in 1811. The appointment of Postmaster was highly political and many opposed the job going to a member of the Whig party. Ultimately, the job went to Currey, a Jeffersonian Republican, who held the job until 1828, and by all accounts was an excellent Postmaster who expanded services in Nashville. After serving a term as Alderman, Currey was elected Mayor in 1822 and served until 1824. There are few specifics about his term as Mayor – interestingly there is more in the records about the home on Currey Hill than his time as a public servant. The one well-documented and notable event that happened during his mayoral term was the May 1825 visit of General Lafayette (Marquis de La Fayette) from France. General Lafayette had served in the Revolutionary War under General George Washington as a part of the French assistance in the fight against the British. He was also a participant in the French Revolution and elected member of the French Chamber of Deputies. President James Monroe invited General LaFayette to America as the "nation's guest" for his service in the Revolution. For that time, LaFayette was the biggest celebrity to visit the city and great activities were planned for his visit, which were coordinated by Mayor Currey. LaFayette Street, just out of downtown Nashville, was named in honor of the visit. Currey's official term was 1822–1824. But, the great visit by Lafayette was 1825, and the records clearly indicate that Currey was Mayor, how could this be? Well, it is not clear, but it appears that the Mayor in 1825, Wilkins F. Tannehill, resigned office and the city council elected Currey to fill the remaining months of the term. 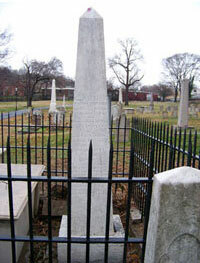 Robert Brownlee Currey died at his residence at Currey Hill on December 8, 1848. 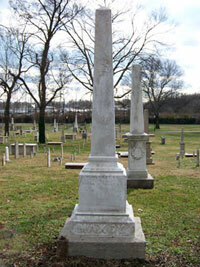 He is buried in Nashville City Cemetery; his grave is marked with a large limestone obelisk. Research completed by Thomas William (Toby) Compton, a Public Service Management graduate of Cumberland University. Charles Clay Trabue was born on August 27, 1798 in Woodford, Kentucky, the son of Edward Trabue and Jane Clay Trabue. At the age of 17, he became a Sergeant in a company of Kentucky riflemen, and joined General Andrew Jackson and his forces in Florida to fight against the Indians and Spanish insurgents. Trabue completed his military enlistment in 1818, having served as one of Jackson’s Lifeguards, a small elite group of selected soldiers who were assigned dangerous missions. Following his military service, Trabue took a position with the Nashville branch of the United States Bank. On July 5, 1820 he married Agnes Green Woods of Nashville and they became the parents of nine children. Following their marriage, the Trabues moved to Missouri where they lived for 10 years. In 1824, Charles was elected and served one term in the Missouri House of Representatives. Upon returning to Nashville, he was elected to the Nashville Board of Alderman in 1836 and reelected in 1837. An active member of First Baptist Church of Nashville, Trabue served as a Trustee of the church and was on the building committee for a new–house–of–worship which was built on Summer Street, now Fifth Avenue. Additionally, Trabue was instrumental in forming the first Tennessee Lodge of the Independent Order of Odd Fellows. During his second term as Mayor, at the young age of 42, he was stricken with an illness described as “brain fever,” which left him incapacitated for over a decade. He died on November 24, 1851 and is buried in the historic Nashville City Cemetery. Note: The official website of the Secretary of State of the State of Missouri indicates that the spelling of Mayor Trabue was Trabeau when he served in the Missouri General Assembly. Research completed by Lynn Maddox McDonald, a Public Service Management graduate of Cumberland University. 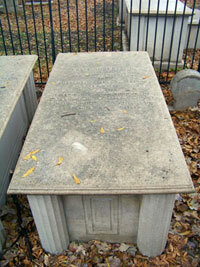 Samuel Van Dyke Stout was born April 18, 1786 in Red Stone Fort, Pennsylvania. He was the son of Abraham Stout and Jane Pettit Stout. He married Catherine Tannehill on October 12, 1813, at the home of her brother Wilkins Tannehill, who also served as a Mayor of the City of Nashville from 1825–1827. Samuel and Catherine had six children: Margaret Jane, Ira Abraham, Josiah W., Charles C., Samuel H., and Catherine. Sometime after his move to Nashville in 1811, Stout worked with his father as a silverplater and later established an extensive coach factory. In 1812, he built a large residence at the southeast corner of the public square fronting on First Avenue and running back to the bluff. His political career included service as a member of the Nashville Board of Alderman during the years of 1824–25, 1830–32, 1835–37, 1838–39, 1844, and 1846–50. 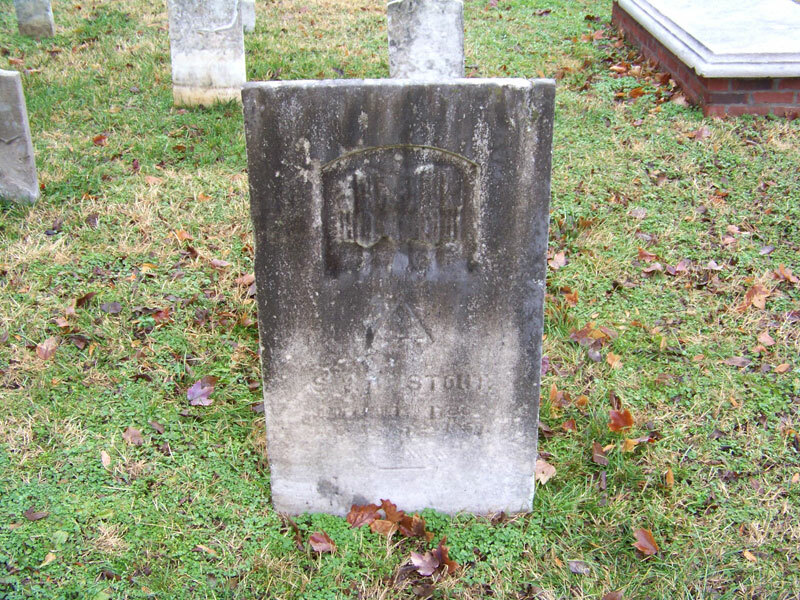 Stout was a member of First Presbyterian Church and of the Masonic Order. Mayor Stout died at his residence after a brief illness attributed to apoplexy on August 8, 1850, at the age of 64. The Reverend Doctor John Todd Edgar, pastor of the First Presbyterian Church, conducted the funeral service where Stout was remembered as a worthy and esteemed citizen of virtue. 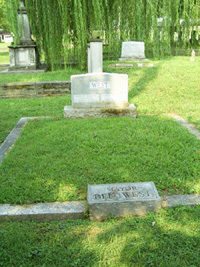 Stout is buried in the historic Nashville City Cemetery. As Maxey became Mayor, a wealthy former Mayor, William Nichol, along with George W. Campbell, a former Envoy to Russia, United States Secretary of the Treasury, and U.S. Senator began acquiring land around the present–day Capitol Hill. Maxey used his political capital to arrange a buyout of the land acquired by Nichol and Campbell for $30,000. In turn, Maxey offered to donate the land to the Tennessee General Assembly, provided the state capitol would be located on that property in Nashville. The public life of Alexander Allison was well known in his day. Allison was twice elected Mayor of Nashville, in 1847 and 1848. During the time he was Mayor, he was appointed by the Governor to serve as one of the commissioners to establish a "hospital for the insane." The hospital, designed by Nashville architect Adolphus Heiman, was built on the Murfreesboro Pike. First Presbyterian, corner of North Summer (5th Avenue North) & Church Street, where Allison was a member, was destroyed by fire in September 1848. Church members immediately set to work to rebuild. Allison served on the building committee. Also serving on this committee was Samuel D. Morgan. At that time Morgan was the Building Commissioner for the new State Capitol under construction. During 1849, the rebuilding of the new church was suspended because of a cholera epidemic. Planning went forward. William Strickland, architect of the Capitol, was also chosen the architect for the new church. Designed in the Egyptian Revival style, First Presbyterian Church was dedicated on Easter Sunday 1851. (Today now-called Downtown Presbyterian has been designated a National Landmark). The first Nashville City Directory in 1853 identified the residence of Alexander Allison at 9 North Summer Street. His next door neighbors were Samuel D. Morgan and his family. They lived within a block of the First Presbyterian Church. Allison was married to Madeline T. Allcorn of Wilson County, Tennessee. Their two sons died young. James Hart Allison, in his 22nd year,, was killed at the Battle of Monterey, Mexico, on September 21, 1846. 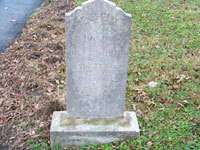 His remains were returned home for burial and interment took place in the family lot at City Cemetery on January 7, 1847. For his tombstone, see James Hart Allison. 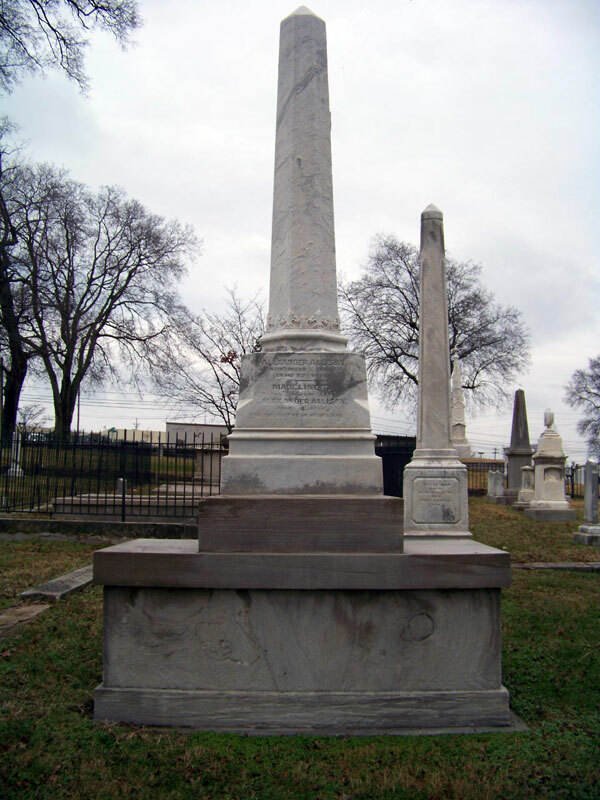 Their second son, John Allcorn Allison, in his 23rd year, died of apoplexy (stroke), on June 22, 1856, and was buried in the family lot. 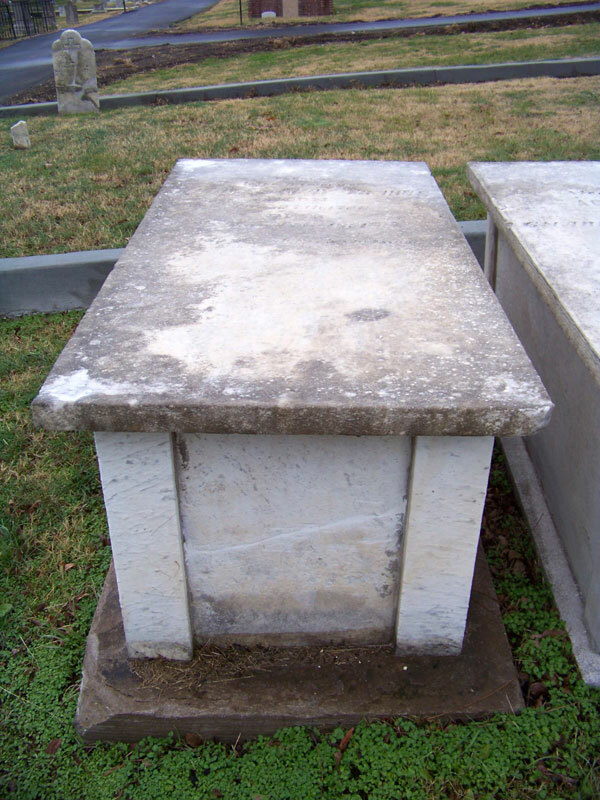 For his tombstone, see John Allcorn Allison. U.S. Census Slave Schedule listed Alexander Allison with 12 slaves in the City of Nashville and with 20 slaves in Davidson County. 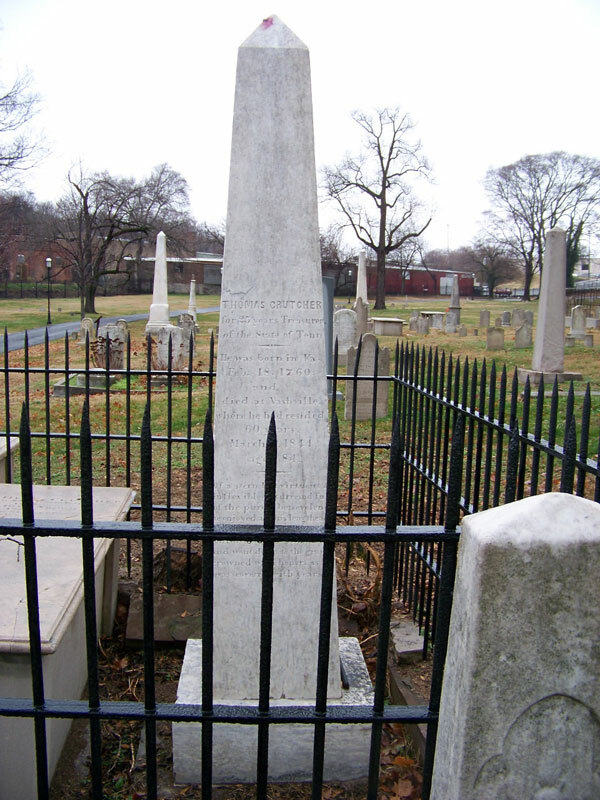 Between 1848 and 1863, Allison paid for the burials of nine slaves at City Cemetery. To look at information about one of his slaves, see Angeline Brady. Alexander Allison was living at 9 North Summer Street when he died, at 63, on November 3, 1862, nine months after the Federal Army occupation of Nashville during the Civil War. His will was recorded in Davidson County on January 26, 1863. In his will, Allison left his house on North Summer, his 200 acre farm across the Cumberland River and other properties in the city to his wife. In his Inventory, recorded the following day, the names of twenty-one slaves, who were devised to his wife, were listed. 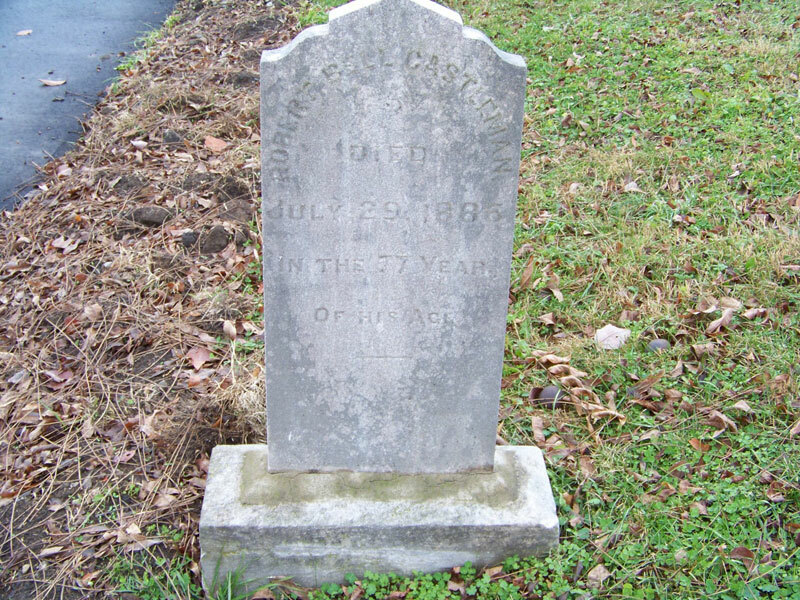 Madeline T. Allison outlived her husband by thirteen years. She died on February 16, 1876. For her tombstone, click-on Madeline T. Allison. The wills and inventories of Alexander and Madeline T. Allison will be transcribed and posted on this Link for Alexander Allison. Horn was the proprietor of W. H. Horn and Son, a painting shop and provider of painters' materials. His shop was located at 15 South College Street, currently Third Avenue. His residence was located above his business. 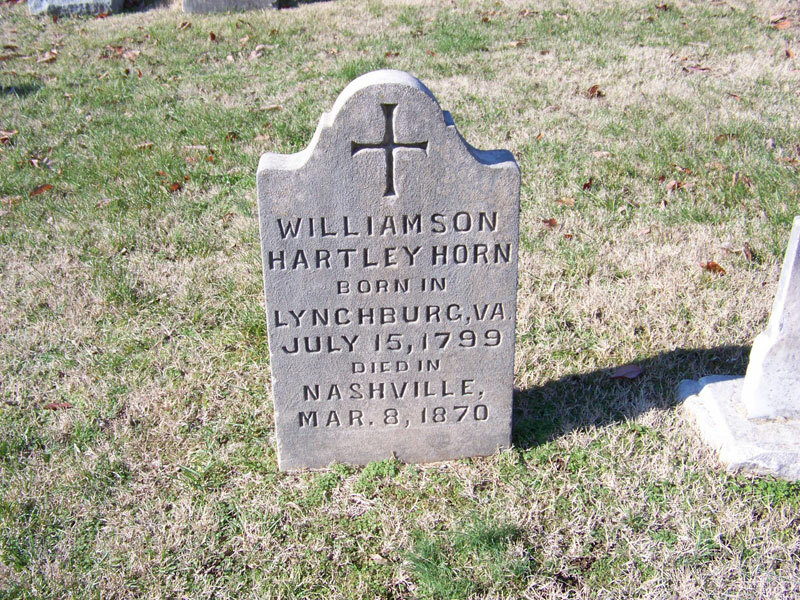 Horn served on the Nashville Board of Alderman from 1845–46, 1852, 1856, 1859, and in 1860. He was elected Mayor in 1853. One of the more outstanding accomplishments during his service to the city was the introduction of the bill that resulted in the establishment of a system of free public schools in Nashville. An active member of the Masonic organization, in 1826 Horn became a Master Mason in the Cumberland Lodge. Additionally he was a Knight Templar, a Knight of Malta, and Grand Treasurer of the Grand Chapter, Council and Commandery. Horn died on March 10, 1870 from consumption. 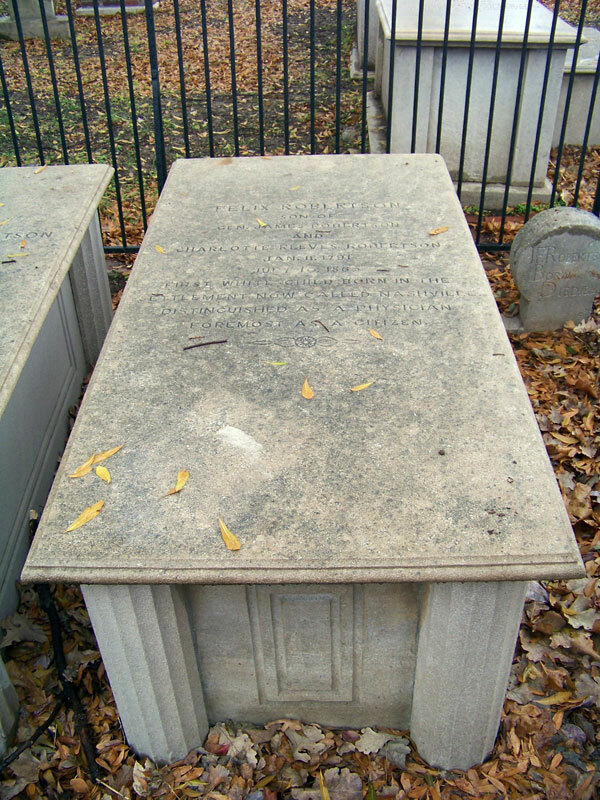 His funeral was held the following day at Christ Church, Episcopal, by the Reverend Doctor William J. Ellis, the Rector of the church. 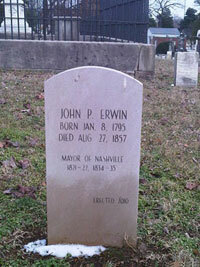 He is buried at the historic Nashville City Cemetery. Research completed by LaQuita V. Martin, a Public Service Management graduate of Cumberland University. When William B. Shapard is cited as Mayor of Nashville, his title is augmented with the words "shortest time served." Mr. Shapard was born in North Carolina on November 5, 1797. How and why he came to make his home in Nashville is not documented. What is documented is his marriage to Margery Childress Shapard who was born in Tennessee on November 2, 1801. Upon his election as Mayor, the newspapers of the day had much to say about his qualifications for the job, his unique election victory, and his resignation. At the time of his election as Mayor, Shapard was serving as senior partner in the brokerage house of W. B. Shapard & Co. Mr. Shapard had never run for public office in Nashville before. In fact, it was not until the morning of the election on September 30, 1854, that he was announced as a candidate. Tickets with Mr. Shapard's name were deposited at polls throughout the city. When the official votes were tallied Mr. Shapard received 930 votes out of 1471 cast. The three other candidates received a total of 283 divided among them. It was suspected that the victory of Mr. Shepard was the work of a political group of the time called the "Know Nothings." Because of Mr. Shapard's business experience, he was viewed as bringing a "high character for business attainments and unswerving integrity" to the Office of Mayor. On October 12, 1854, at the Meeting of the Common Council, Mayor Shapard announced the Standing Committees for the year. It was at this same meeting that discord began. The previous Mayor, Williamson Hartley Horn, had been instrumental in developing a plan for the Nashville Public School System based upon the research and reporting of Alfred Hume. The previous Board of Aldermen had passed a bill authorizing the Mayor to issue city bonds in the amount of $30,000 to purchase land and erect schoolhouses. It was reported that Mayor Shapard was averse to carrying out this plan. This was seen to have a suicidal effect upon the attempt to organize the schools of the city. Two weeks later, Mayor Shapard appeared before the Common Council at the regular meeting on October 26, 1854. At this meeting, Mr. Shapard explained that after attempting to do so, he found it impossible to discharge the duties of his office without entirely giving up the business that he had been working for years to build, and he verbally tendered his resignation. His resignation was received and placed in a motion before the group, passing unanimously. Later during this same meeting Robert G. Castleman was elected Mayor. The 1860 United States Census Report showed Mr. Shapard living in Nashville with his wife Margery. His occupation was listed as banker. 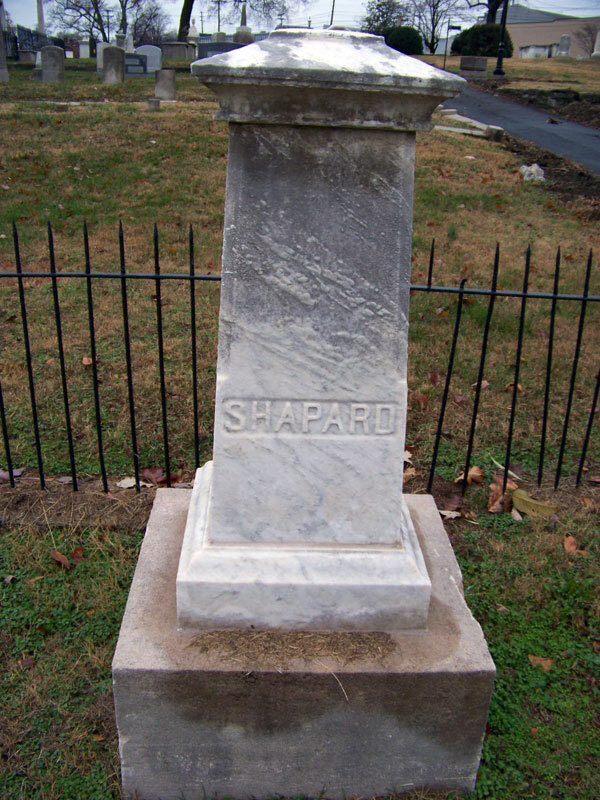 Mr. Shapard died on January 19, 1870 of pneumonia at the age of 73. In his Last Will and Testament, Mr. Shapard left his property to his wife and $6000 to provide for her needs. The remainder of his estate was divided among his children and grandchildren. Mr. Shapard's funeral was held at the First Presbyterian Church on January 20, 1870, and on the same day he was interred at the Nashville City Cemetery. Margery Childress Shapard died on October 22, 1879 and was interred with her husband on October 25, 1879. Robert Bell Castleman was born on December 9, 1808 in Nashville, Tennessee, to Andrew and Margaret Ewing Castleman. He was the eleventh of thirteen children. His father, Andrew Castleman, served as Clerk of the Court in 1780, and in October 1783 he became the first Clerk of the Davidson County Court, a public office he held for over 30 years. On December 18, 1845, Robert Bell Castleman married twenty-year-old Annie Elizabeth Wood. Their union produced three children: Betty Kay, Sue, and James. Admitted to the bar in 1834, Castleman, was a member of the Tennessee House of Representatives in the 23rd General Assembly from 1839–1841. As was his father before him, Robert Bell Castleman was the Davidson County Court Clerk during the years 1840 to 1850. Later, he became the long–serving Davidson County Registrar of Deeds. Castleman became Mayor of Nashville in 1854 under unusual circumstances. He was appointed by the City Council to serve the remaining months of the term of William Shapard, who had been elected Mayor, but vacated the office after only a brief time of service. Castleman accepted the council's appointment and the following year was elected to the office for an additional one–year term. The Mayor and his family were members of the Presbyterian Church. 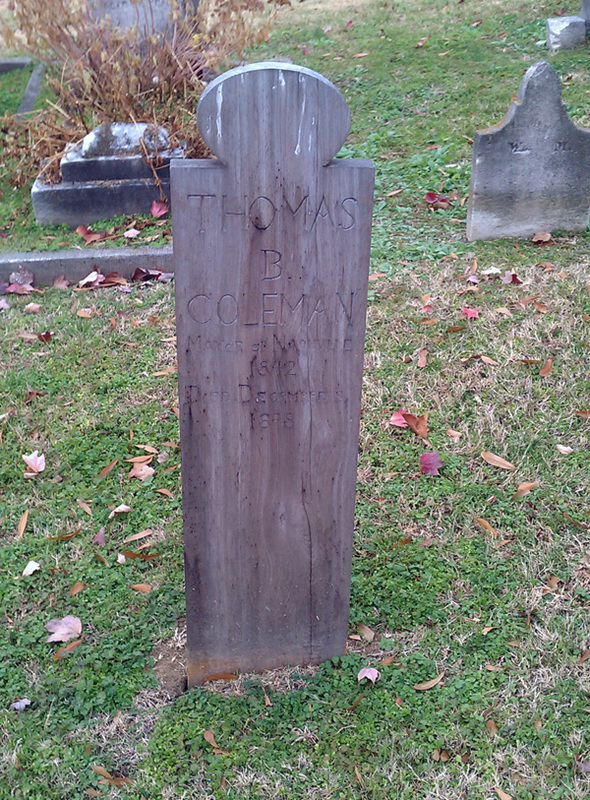 Robert Bell Castleman died on July 29, 1886 and was buried alongside his wife in the historic Nashville City Cemetery. 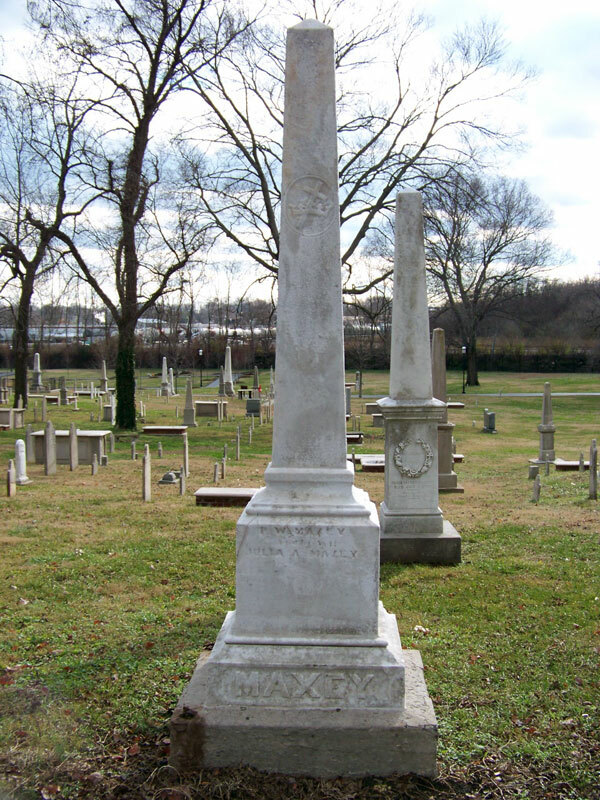 Profiles of Early Tennessee Leaders by William B. Nicholson states that the Castleman family had three children: Betty Kay, James W., and Maggie, who died at the age of 3 and is buried at Nashville City Cemetery. This information is contrary to all other information found in my research. Nicholson also stated that after Castleman finished his second term in office that he withdrew from public life and prospered in real estate. Again, I was unable to verify that information. The papers of Anne Porterfield Rankin, daughter of Susan Castleman and Frank Porterfield and granddaughter of Robert Bell Castleman, are available on microfilm in the Manuscript Division at the Tennessee State Library and Archives. The Anne Porterfield Rankin Papers, numbering approximately 2000 items, is composed largely of manuscripts of Mrs. Rankin's writings, newspaper clippings, and personal letters. Research completed by Carolyn Bridges Gregory, a Public Service Management graduate of Cumberland University. 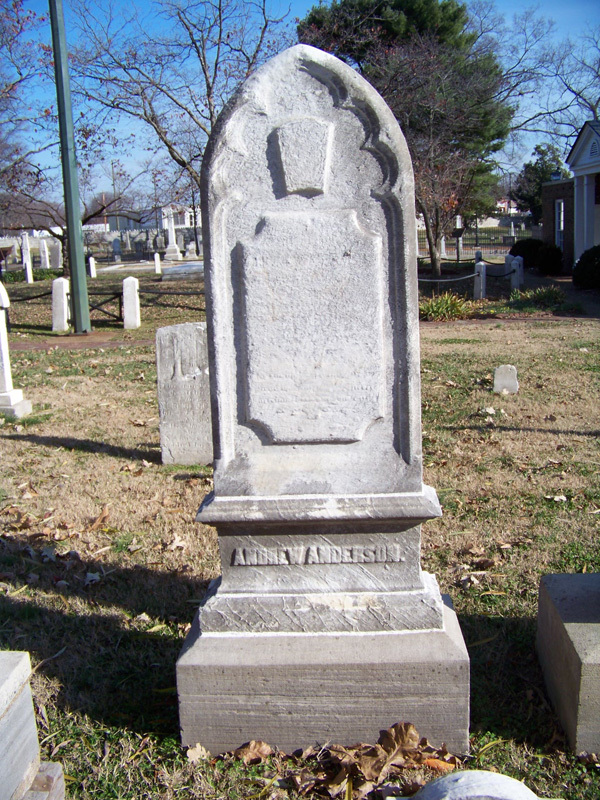 Involved in Nashville politics for more than 20 years, Anderson was a member of the Nashville Board of Alderman from 1837–41, 1846–52, 1854–55, and 1862–64. Raphael Ben West was born March 31, 1911 in Columbia, Tennessee to Martha Melissa Wilson West and James Watt West. At age three, Ben moved to Nashville where the family lived in the Flat Rock Community (present day Woodbine off of Nolensville Road). He graduated from Vanderbilt University and Cumberland University School of Law School in Lebanon, Tennessee. Ben worked at The Nashville Banner as a copy boy and reporter from 1928 until 1934; and in 1934 West became an Assistant Attorney General for the 10th Judicial District in Nashville–Davidson County, Tennessee. On August 31, 1935, West married Mary Humes Meadors; they had two children both of whom are still living today: Ben West, Jr. (who became a State Representative in the Tennessee General Assembly) and Jay West (who became a Councilman–at–Large as well as Vice Mayor of the Metropolitan Government of Nashville and Davidson County). Mr. West ran unsuccessfully for Mayor of the City of Nashville in 1943; however, he ran for Vice Mayor in 1946, and won. In 1949, West ran and won a seat in the Tennessee State Senate. As a part of his legislative agenda, Senator West sponsored and passed legislation for single–member district elections, which proved a rebirth for black voting power in city politics; this legislation became a key to West's political future as well. In 1951, West became Mayor of City of Nashville; during the same election, two African American Councilmen were elected to the City Council (Z. Alexander Looby and Robert E. Lillard) – a first in over forty years – thanks to the state legislation he sponsored. West's alliance with the black community proved important as race relations in the city escalated; during the 1960 sit-in demonstrations at downtown lunch counters one of the integration leaders, Councilman Z. Alexander Looby's house was bombed, this lead to a march on the Courthouse demanding change, at this critical moment West met with the marchers on the steps and agreed that change was necessary; as a result the business community quickly reversed course – in part because of his leadership – Nashville was the first southern city to desegregate public facilities. Mayor West championed the cause of reapportionment in the United States Supreme Court landmark case of Baker v. Carr (1961); this case provided for one man, one vote and shifted power from more rural legislative districts to urban districts which were underrepresented at the time. As a result, urban centers, like Nashville, began to have more influence in the halls of the General Assembly. One of West's larger accomplishments as Mayor was The Capitol Hill Redevelopment Project, the redevelopment replaced a slum and vice district surrounding the state capitol complex with green space, enhanced parking and additional state buildings. Additionally, West undertook the East Nashville Urban Renewal Project; finished an $11 million sewage treatment plant; installed $2 million in street lights; built the municipal airport; and built the downtown public library (later named for him) at Polk and Union Streets. Mayor West supported the consolidation of city and county government in 1958 but opposed it 1963 because he felt a series of annexations of bedroom communities was the best way for the city to expand. West's annexation focus was derailed in 1963 when the second referendum on Metropolitan government passed and the municipal governments of the City of Nashville and the County of Davidson became a single entity – the Metropolitan Government of Nashville and Davidson County. West lost the 1963 election to become the first mayor of the new Metropolitan Government to Beverly Briley (Briley was previously Davidson County judge/mayor). West and Briley had a complex relationship that was both friendly and contentious; both men were major political powerhouses of the day. Upon losing the election, West retired to private law practice. 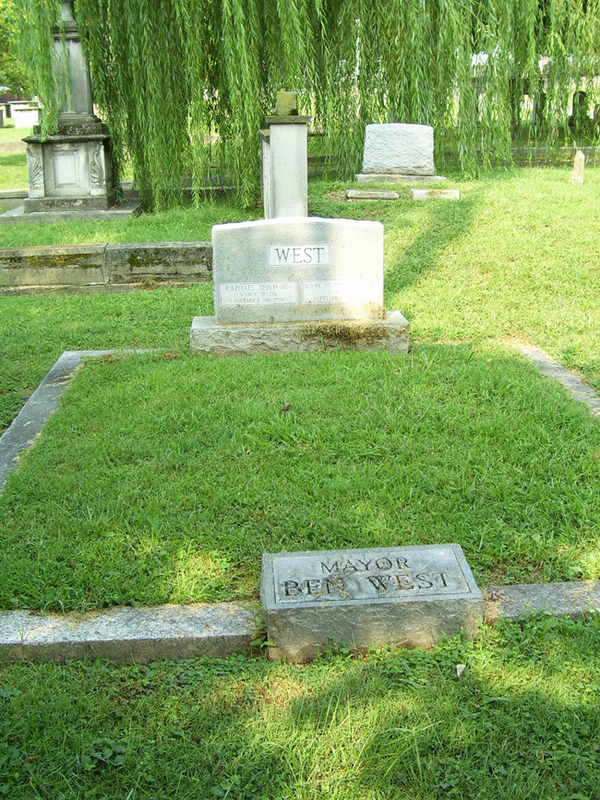 West died on November 20, 1974; he is buried in the Nashville City Cemetery. Research completed by Thomas Willian (Toby) Compton, a Public Service Management graduate of Cumberland University. The 1959 Historic Marker at City Cemetery listed the following six Mayors of Nashville as buried at the cemetery. Research findings indicate that these six Mayors were not buried at City Cemetery. Click on their names for more information about each one. Reminder: City Cemetery opened in 1822. Interment Books begin 1846 (earlier books lost during Civil War). Interments from other graveyards to City Cemetery and removals from City Cemetery to other cemeteries were not recorded in the Interment Books. Mayors of Nashville. Not Buried at City Cemetery.